If you have employees working you as part of your business, you need to know about workers compensation insurance. This form of cover is designed to protect both employees and employers following a compensable workers compensation claim and is a mandatory form of cover in Australia. 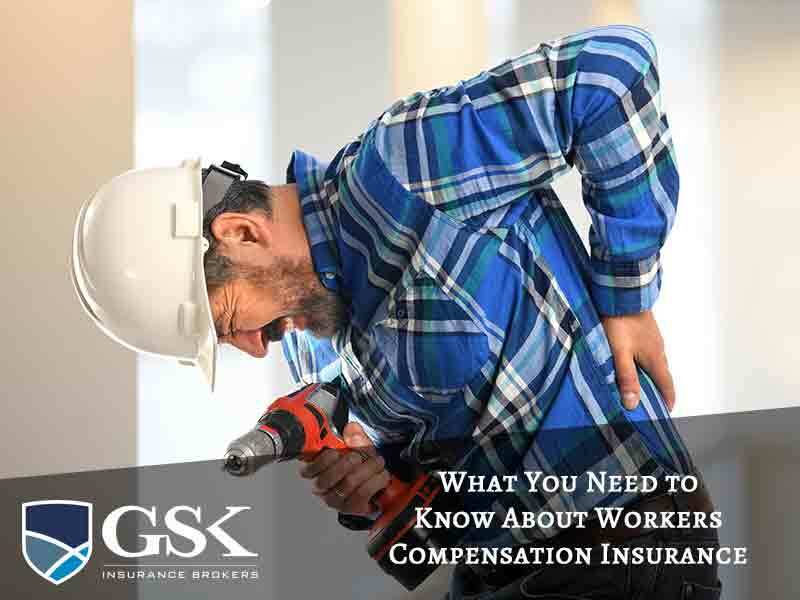 Let’s take a closer look at what workers compensation insurance means for your business! If an employee is injured at work or becomes unwell due to work, workers compensation allows for payments to be made to the employee to cover wages while their away from work, medical bills, rehabilitation costs, and equipment such as glasses. It could also include a lump sum payment in the event of permanent impairment. With workers compensation insurance, employers are reimbursed for payments made to the employee following a claim. Workers compensations insurance is compulsory in every state and territory in Australia by law. It’s important to remember that every state or territory runs their workers compensation scheme a little differently. In WA, Tasmania, the Northern Territory and the ACT, workers compensation is underwritten by private insurers. In NSW, South Australia and Victoria, insurers act as agents for the state government, while the scheme is run solely by the government in Queensland. If you fail to have workers compensation insurance in place, your business will be liable for significant fines and you’ll also be required to directly pay the benefits owing to an employee following a claim. What will workers compensation insurance cost? When it comes to the cost of your workers compensation insurance, it will depend on a number of factors. Some of the main considerations will be things such as the number of employees you have, the type of work they do, the risks they may be exposed to, and how much you spend on wages. In basic terms, the higher the risk then the higher the premiums. If you have employees working for you, they will all need to be covered under your policy, This includes full time, part time, casual or seasonal workers. If you use contractors or subcontractors, in some cases they’ll be considered a ’worker’ under your policy and you will need to obtain cover for them. At other times they will need to organise their own insurance to cover themselves if they’re injured or become ill at work. To ascertain whether you will need to cover them under your own workers compensation insurance please contact your broker to discuss. At GSK Insurance Brokers, we can help protect you and your employees with workers compensation insurance. We’re one of Australia’s leading insurance brokers, and will work with you to ensure you have the right cover for your business. For workers compensation insurance for your business, speak to the experienced team at GSK Insurance Brokers today on (08) 9478 1933.